About 68% of Americans struggle with sleep at least once a week, according to a poll by Consumer Reports. That’s roughly 164 million people. Considering good sleep ranks with nutrition and exercise for good health, it’s no surprise that many people look for a quick fix. In 2015 alone, $41 billion was spent on sleeping aids and remedies. If you struggle with sleep, you’re probably looking for solutions, and you likely want them now (especially if you’re reading this while lying in bed trying to fall asleep!). 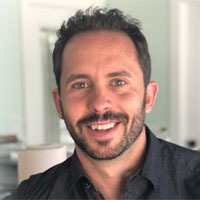 In this post, I’ll share some of the most common causes and solutions (many of which work great for simple challenges!). 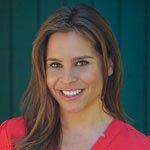 I’ll also detail why the technique known as Tapping has become one of the most effective techniques for overcoming sleep issues, based on years of scientific research, and how you can use it immediately to start sleeping better. Before we get to the solutions, it’s important to understand just how much of an effect the lack of sleep is having on us. 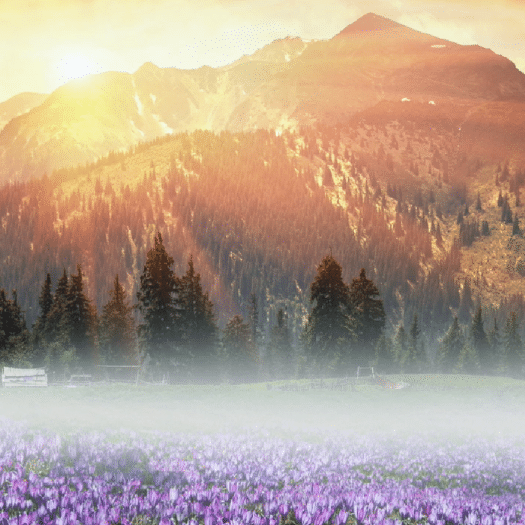 Just pushing through our days, thinking we can get by on less sleep, or that there’s nothing we can do about it, often becomes a habit that has more dire consequences than we realize. 2. Increased Risk of Accidents – There’s a reason why you see signs on the highways saying that if you’re tired, pull over. You may have even seen awareness campaigns offering free coffee if you pull off an exit. Not sleeping enough impairs your reactions and increases your risk of having a car accident (and other accidents!). 3. Increased Risk of Mental Health Disorders such as depression and anxiety. 4. 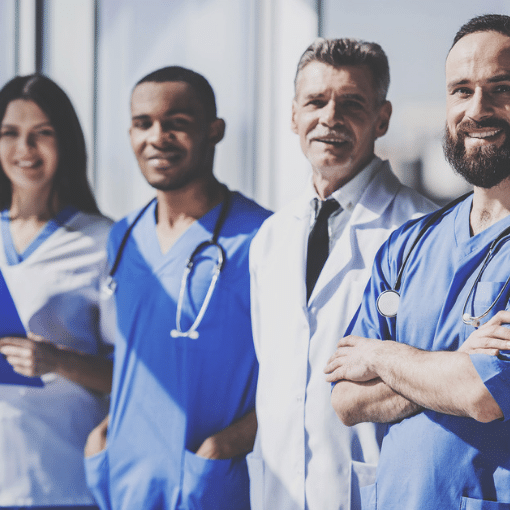 Increased Risk of Medical Health Conditions – Some of these include obesity, diabetes, high blood pressure, heart disease, inflammation, sensitivity to pain, seizures, asthma attacks, and stroke. 6. Lowered Energy Levels – A lack of sleep disrupts hormone levels, including serotonin, dopamine, and cortisol, which has an effect on our mood, thinking, and energy. The good news is that there are easy and inexpensive ways to get a good night’s sleep. But first, you have to find the root of the issue. There are a number of reasons why people struggle to sleep, and people often think there is no solution. The four reasons outlined below are the most common. Nothing is more frustrating than wanting to fall asleep, only to have chronic pain keep you awake night after night. The worst part is that it enters a vicious cycle. When you struggle to sleep, you struggle to heal, causing you more pain and more trouble sleeping. The challenge with these techniques is that they all involve trying to distance oneself from the physical pain, rather than addressing and releasing it. Tapping, on the other hand, works on the underlying mental, emotional and energetic causes of pain to release them. It has shown, time after time, to reduce the levels of physical pain in just minutes. And when you can reduce the pain… you can sleep! It works because of the mind-body connection. 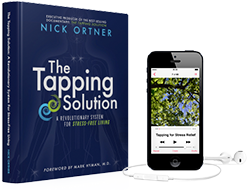 I detail much of the scientific research behind why Tapping works for pain relief in my book “The Tapping Solution for Pain Relief”. If you just want something that you can implement now, I recommend downloading our Tapping Solution App. 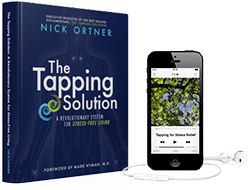 You can listen to and tap along with one of the “Heal Your Body” tapping meditations, as they can guide you to achieving pain relief in just minutes. If you’re new to Tapping, the app will teach you how to do it quickly. It’s simple, easy and effective! DISCLAIMER: Always consult your doctor before starting any new treatment for pain and to find out if there is an underlying medical condition that needs to be treated. With all of the constant challenges we have in our modern society, it can be difficult to turn off the thoughts when it’s time for bed. Typically, these thoughts lead to one underlying emotion… stress. Occasional stress can be good for you, but chronic stress can be debilitating. If you have any of these 23 signs, you have far too much stress in your life. Our ancestors relied on stress and the “fight or flight” mechanism in their brain because it pushed them into heightened states that allowed them to move faster and react quicker, literally helping them to survive. For example, if hunting went awry, and they were face-to-face with a wolf, the flight-or-fight response would activate. It would help them to quickly make a decision about whether they were going to run away or fight the wolf. As a result, adrenaline would be released, along with cortisol and other hormones. Working together, they activated functions essential for their survival. Their heart rate was increased to quickly pump blood to their muscles. Their breathing quickened to increase their focus by giving their brain more oxygen. In other words, they were primed and ready to go. In our current day and age, real life or death situations, such as this example of encountering wolves, rarely happen. However, the brain does not distinguish between what is real and what is imagined, and because of the constant stressors in our modern society, our brains are in a constant state of fight or flight. The problem, of course, is that if you’re in a state of stress, and your fight or flight mechanism is triggered, your body is in a heightened state of awareness, and so falling asleep becomes difficult. Imagine our caveman ancestors trying to fall asleep with a wolf 20 feet away… it just wouldn’t happen. That’s what happens to you when you have chronic stress! Fortunately, Tapping has been proven to reduce chronic stress fast. In a double-blind study conducted by Dawson Church, Ph.D, Tapping was shown to produce, on average, a 24 percent drop in cortisol levels after just one hour of Tapping. 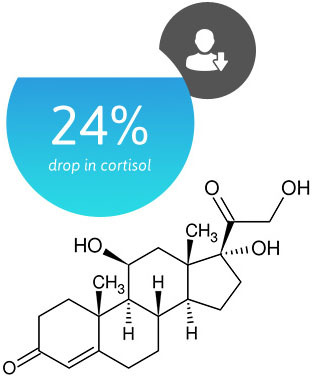 Cortisol is often referred to as the “stress hormone” because it is released when we experience stress. On the other hand, the people in the study who were treated with traditional talk therapy or no treatment at all didn’t experience any significant cortisol reduction. In other words, they were just as stressed at the end of it all, while those who tried tapping walked out with significantly less stress! If you want to try tapping right now to reduce stress, I recommend downloading our Tapping Solution App. Listen to and tap along with one of the “Emotional Freedom” tapping meditations or the “Sleep Support” tapping meditations, as they can guide you to reducing stress and falling asleep in just minutes. TOO MUCH LIGHT IN THE BEDROOM: Too much light in the room is a common issue that hinders falling asleep and staying asleep. Remember, our ancestors didn’t have bright alarm clocks, television sets, phones, music systems and other electronics creating light as they tried to sleep. They slept in… the dark! The more light you have in the room, the more trouble your brain will have switching off and falling asleep. TOO MUCH LIGHT BEFORE BED: Equally important is reducing the amount of light you (and your brain) take in before bed. Blue light reduces the production of melatonin, a hormone that brings on sleep and keeps us there. Reduce the amount of blue light you get in the evening by using free programs such as f.lux to lower blue light from your computer or phone, by using lights in the bedroom with less blue light, and by wearing blue light blocking glasses. TOO MUCH MORNING LIGHT: Also important is to not allow sunlight in the morning if it is coming up earlier than when you’d like to get up. If it is, get black-out curtains to keep that light out in the morning. Those black-out curtains will also keep moonlight out on those bright full moon nights! ROOM TEMPERATURE: Once again, remember that our ancestors who passed on their DNA to us lived in an environment where it became colder at night as the sun went down. If your environment is too warm, you may struggle to sleep. Play with different temperature settings to see which helps you to sleep best! If your partner is keeping you awake because of snoring, first have them see their doctor to find out if they have a medical condition such as sleep apnea, which nearly a quarter of Americans either have or are at high risk of having. If your partner takes up too much of the bed, talk to them about it and ask them to make a conscious effort to stay on their side of the bed. The simple act of consciously focusing on it before bed can help them to retrain themselves to sleep in a smaller space. If you’re not able to change their behavior, the only behavior you can control is your own reaction. Sometimes the frustration of the problem persisting or the anticipation of it happening can keep us awake. 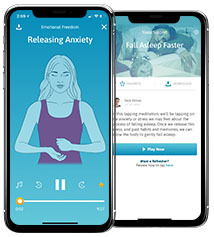 Download The Tapping Solution App and use some of the “Sleep Support” tapping meditations, or the “Emotional Freedom” tapping meditations, such as the “Releasing Anger” one, to release your emotional charge around their behavior to help you fall asleep faster. Lastly, if your partner is getting up earlier than you, and having their alarm go off, that can interrupt your sleep and make it hard to fall asleep again. One great solution is to have your partner wear a device such as a Fitbit and have the alarm vibrate on their arm, waking them up, but allowing you to sleep! I hope this article helped you to find some solutions for your sleep challenges. Remember, Tapping can help you, but only if you’re willing to use it. If you haven’t tried it yet, what are you waiting for? In just a few minutes, you could be getting better sleep! Go here to download the app now and make sure to give me your feedback on this article and your results by commenting below. After just a few minutes, you’ll find yourself breathing easier, feeling better, and drifting off to sleep. Have you used Tapping or any of The Tapping Solution App meditations to get better sleep? I’d love to hear your comments! My recipe for knockout sleep is 2-4 organic banana skins roughly chopped up; several bay leaves; tsp. each of dried tarragon/sage. Inch ginger root thinly sliced (optional). Place ingredients in a saucepan and on a medium heat bring to hot; then llet simmer on a very low heat for about 20 minutes. Cool and add a little pure maple syrup, if sweet is needed. Drink this about 20 minutes before bedtime. It should be remembered that if your blood sugar is down then your brain will remain active. This is primal and designed by Nature to keep you foraging (she never anticipated a shop or super market around the corner). So never go to bed hungry. To enhance the effect you can tap…. M.
I do tapping but I use a CPAC machine at not to get restful sleep. I also have a Android phone. Is there other options to download it? Sorry, I don’t have a Smart Phone. You should add sleep apnea and allergies to this list of reasons people don’t sleep well. I just found out that I have severe sleep apnea caused by allergies which has caused a cascade of physical problems like anxiety before bed, depression, exhaustion everyday. Just a thought, but I love the mindfulness of the tapping solution. I don’t have an iphone, is there another way to download to iTunes instead? One of my friends might be interested in trying tapping but she is hearing impaired and cannot listen to the programs. Is there a printed script that she could follow? Thanks for sharing this Nick. Please provide a link for listening to this for desktop/ Android users. Think about the populations in our jails… Lights are still on at night in crowded and dangerous environments. Inmates are at a hightened level of awareness – especially at night when personal attacks can happen. 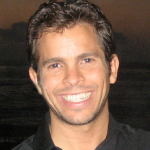 I am a disabled Vietnam Veteran that has been teaching Mindfulness for over 26 years. Local authorities are interested in bringing me into our jails to teach meditation and since I have been exposed to EFT techniques, I am considering the introduction to EFT ‘basics’ for this demographic. I am currently introducing EFT to Veterans at the DC Veteran’s Hospital for PTSD. Think about how you might assist mental health clinicians on your site to help our prisons!? kneel9.com and wish me luck in my journey … Dawson already has! Thanks for your well-wishes Nick. Please think about how we in the ‘tapping’ community can assist this overcrowded population in our prisons – including the guards that are on high alert within these explosive environments ! I believe EFT can play a critical role in our jails. Your input can make a huge impact ! What if you don’t have a smart phone? Will there be an android app. please? You forgot a few things: restless legs syndrome, restless legs movement & trauma. Magnesium supplements work wonders for restless legs!! I had to get cortizone shots regularly in my shoulders since I take magnesium regularly I haven’t had a shot in years! Also had carpal tunnell in both wrists. Not anymore. We are magnesium deficient!